We are counted amid the quality-centric organizations and thus source the inputs only from the trustworthy sources. Also, these raw materials are checked against varied quality parameters. 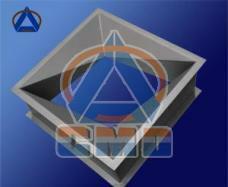 Prominent amidst the leading Supplier; count on us to avail the finest Aluminium Special Shape Panel (CMD-SS020).